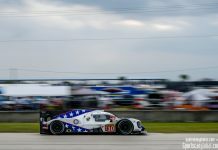 The Le Mans winning #2 Porsche 919 hybrid of Timo Bernhard, Earl Bamber and Brendan Hartley topped the tables in Friday morning’s slightly shortened Free Practice session setting a fastest time of 1:41.612. 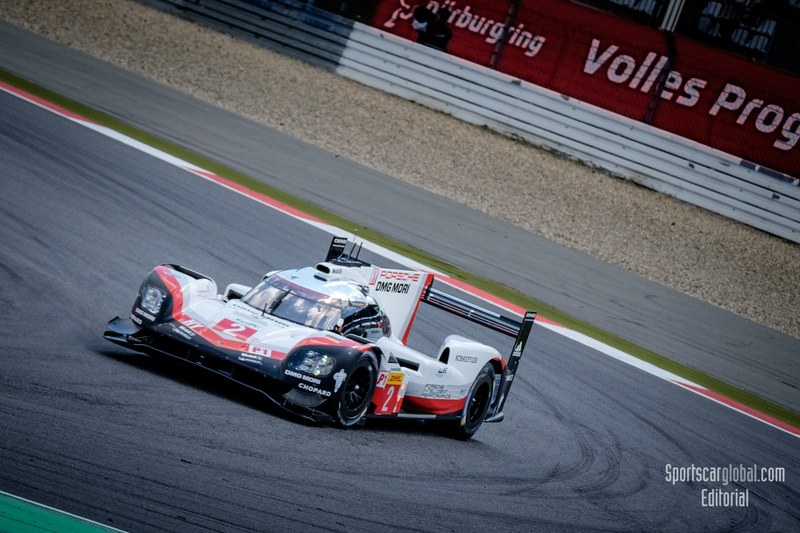 With a mere 0.367 seconds separating first to fourth the #8 Toyota Gazoo Racing TS050 was second followed by the #1 Porsche and the #7 Toyota. 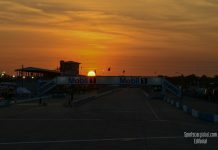 The ByKOLLES Enso CLM P1/01 – Nismo managed a best lap some 7.4 seconds behind the leading Porsche, ultimately finishing behind the top five LMP2s. 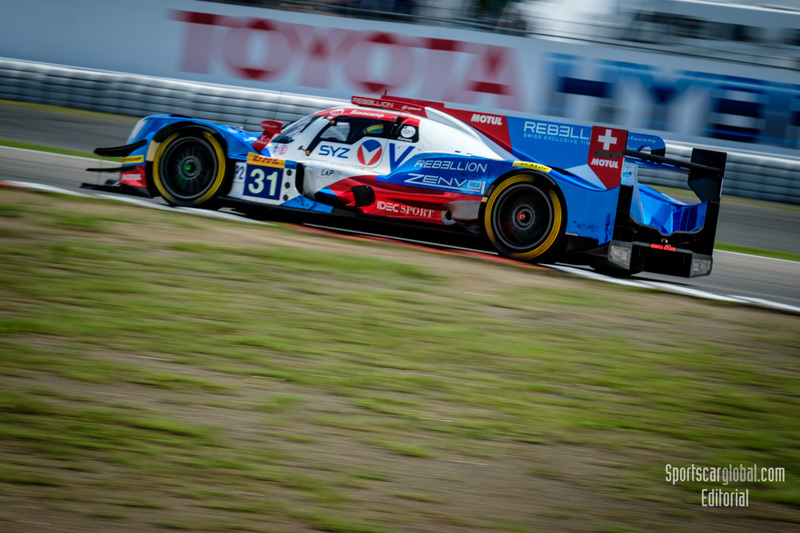 In the LMP2 class Bruno Senna took the #31 Vaillante Rebellion Oreca 07 to the top of the timing sheets clocking in a 1:47.717 on lap nine however, the car was the cause of the red flag five minutes before the end of the session when Julian Canal attempted a pass on the #77 Dempsey Proton Porsche 911 RSR of Marvin Dienst on the inside at Turn 4, connecting with the AM car and sending it out of control onto the grass only to spin back into Canal at Turn 5 ending the Oreca’s session with radiator and bodywork damage. The #26 G-Drive Racing, heavily penalised following Roman Rusinov’s accident at Le Mans, closed the session in second spot with Pierre Thiriet setting a 1:48.379. Fellow Frenchman Matthieu Vaxiviere took the sister TDS Racing Oreca to a respectable 1:48.401 to slot into the third fastest in class. 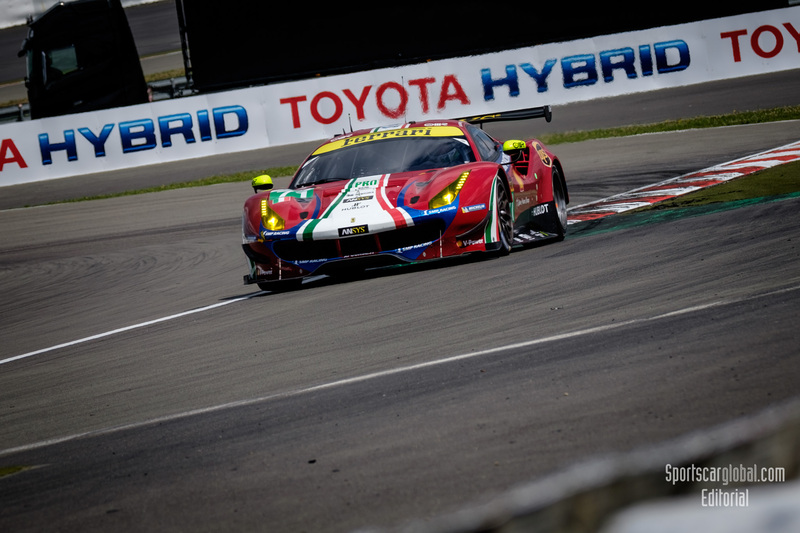 In the GTE classes Davide Rigon took the #71 AF Corse Ferrari 488 GTE to the session’s fastest lap time setting a 1:57.170 on lap 14. Frenchman Kevin Estre put the #92 Porsche 911 RSR into second spot while Alessandro Pier Guidi rounded out the top three for AF Corse with a 1:57.483. Despite the new automated BoP system favouring the Aston Martin Pro cars today’s first session saw the #95 and #97 holding the bottom two slots in the class timing sheets with a 1:57.993 and 1:58.224 respectively. 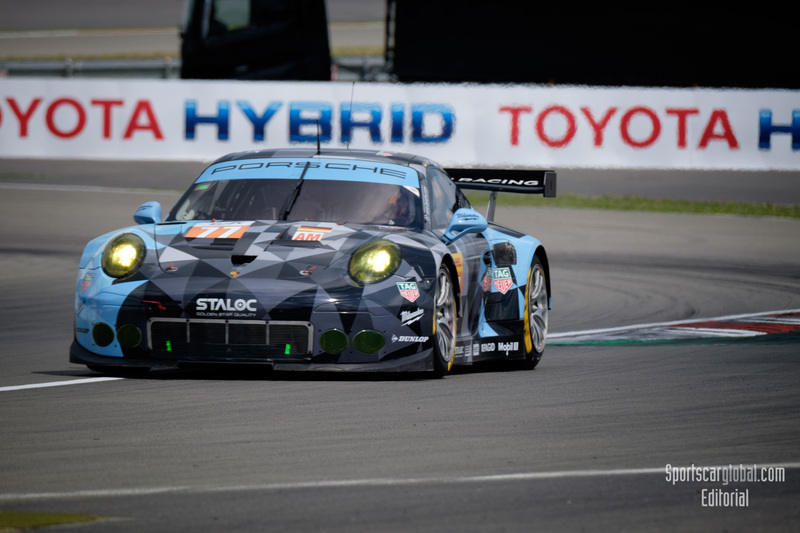 In the Am class, despite being heavily damaged in the incident with the #31 Rebellion Oreca, the #77 Dempsey – Proton Racing Porsche 911 RSR retained the session’s fastest time with the 1:59.208 set on lap 15 by Italian Matteo Cairoli. The Ferrari 488 GTE of #54 Spirit of Race finished up second thanks to Francesco Castellacci’s lap nine time of 1:59.346 with Benjamin Barker taking the #86 Gulf Racing Porsche 911 to third with a time of 1:59.370. Current class leaders Clearwater Racing finished at the bottom of the class with their best time (1:59.728) being set by Matt Griffin on lap nine.